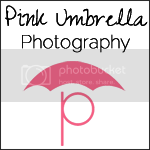 Pink Umbrella Photography: Making Pumpkins Come to Life! Making Pumpkins Come to Life! Pumpkins are the sign of Halloween which also means Fall is right around the corner. Don't get me wrong I am a summer person and LOVE the lake, but this year I am actually getting excited about fall and the upcoming holidays. 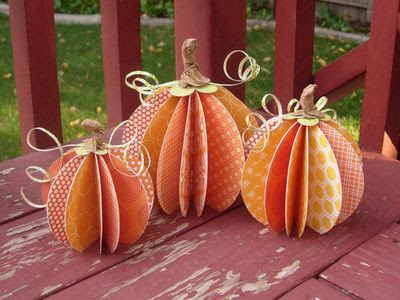 Here are a few simple ideas of ways you can decorate pumpkins or create ideas to use for different things that look like pumpkins. Happy decorating!! Check out the ideas below. Some have instructions on how to make them and others are pretty easy. Enjoy! 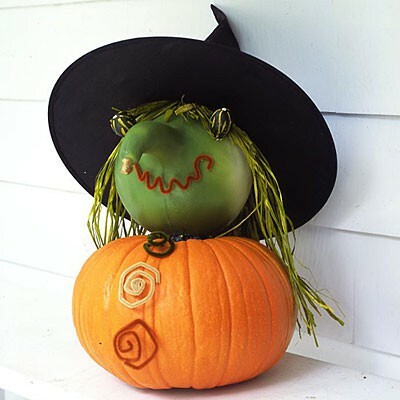 This is easy with any pumpkins you might have this fall. You just have to have a little bit of an artistic side to you! This idea below is really cute and is made by paper. These would be really cute for a centerpiece on your table. Check out Alydosall to check out how she made these. This idea is really cute and really cheap to make. All you need is a 2x4 that you already have laying around (or you can go buy another one), Orange, black and green paint and some bamboo for the stem. Get some straw or even ribbon to put on there and, there ya go!! 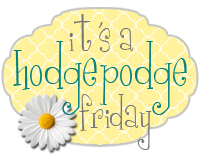 Check out Kathe With An E to check out how exactly she did this craft!! Wow! Thanks for featuring my simple craft! You rock :) Have a great weekend. 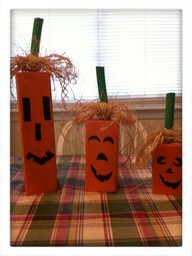 I love pumpkin craft ideas. And super easy projects are a plus! 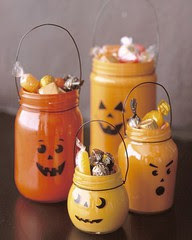 I love the jar pumpkins -- so cute! So cute! new follower from linky party. Glad you came by... I am a new follower of your as well.